There are tons of classic rap albums whether we are talking about solo artist or group efforts. 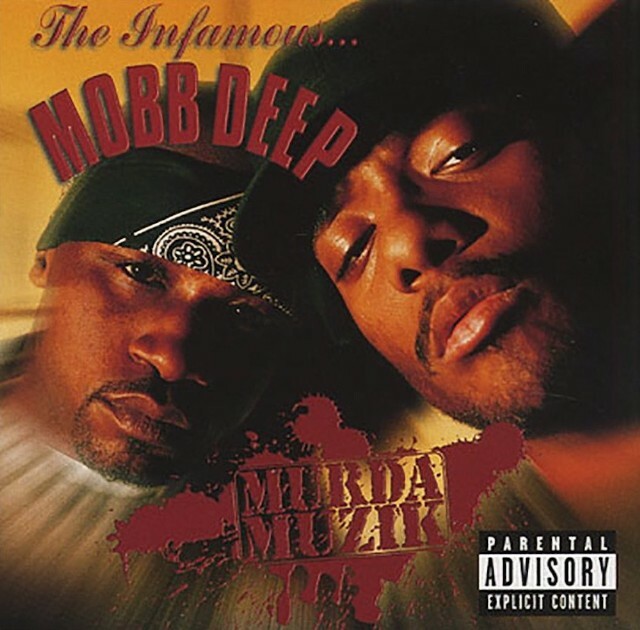 The first one that I decided to discuss is Mobb Deep’s Murda Muzik. The Mobb has several really great albums but this is a personal favorite because I feel that practically every song is listenable from start to finish. This album was released in 1999, three years after Prodigy and Havoc’s sophomore release Hell on Earth. The reason I chose this one out of all the Mobb’s catalog is because it just really stood out to me. Some of the guest features on this album were great as well. You had the likes of Cormega, NaS, Big Noyd, Infamous Mobb (a group consisting of Ty Nitty, Godfather and Twin Gambino), Raekwon, 8 Ball, Kool G Rap, Lil Cease, Lil Kim and Chinky. It was filled with great lyrics, great features, well selected beats and witty rhymes. If I were to rank this out of 10 I would have to give it a solid 9. It may not be perfect but this is definitely a classic that can be appreciated for years, a timeless piece of work. Prodigy is no longer with us but his legacy in hip hop will live on forever. Here are a few music videos that were released for this album.